This is the first time in a long time that the weather has been amazing and I have actually had the day off work to enjoy it! And I think this is basically the last day of summer now so this morning I got straight into my bikini to try and make the most of it. 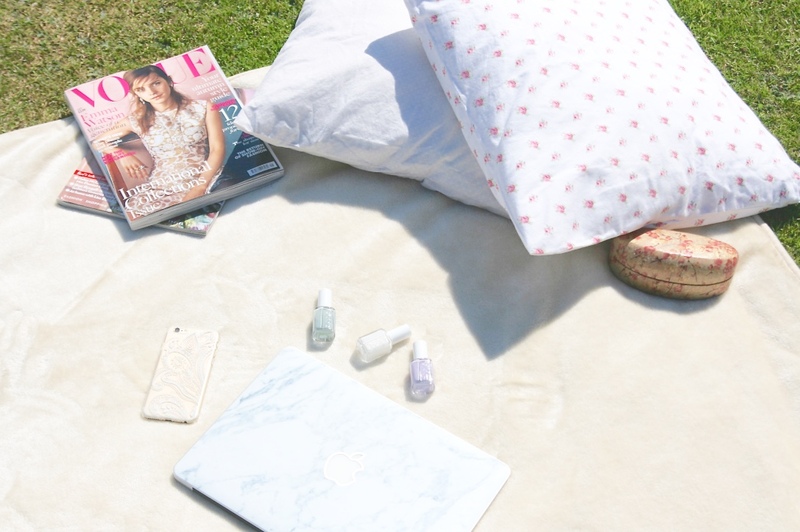 I moved some blankets and cushions, and then all the other essentials, iphone, laptop, Vogue, Essie nail polishes outside into the garden to create the perfect little relaxation zone. I have been trying to top up my tan from Kefalonia but I have had to move back inside for a bit to write this blogpost as it is basically impossible to see my screen in the sunshine, and sunglasses do not help! 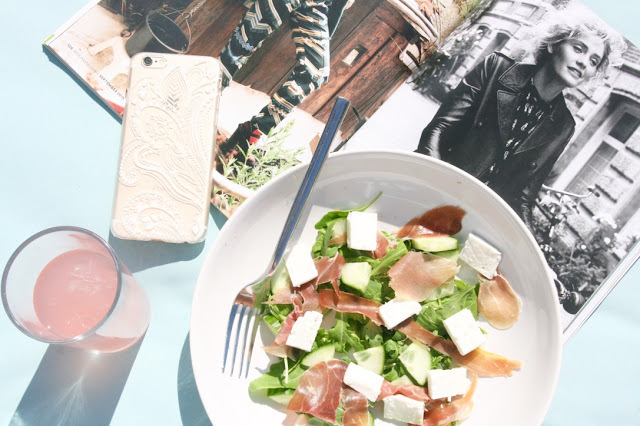 For lunch I made myself a yummy little salad. it sounds very healthy but the truth is that I woke up so late and had a bacon and egg sandwich for breakfast so I wasn't actually that hungry. I also have some of my all time favourite drink, Pink Lemonade. And I swear it isn't just because of the colour! This afternoon I used my new Nutribullet again which I really can't get enough of! 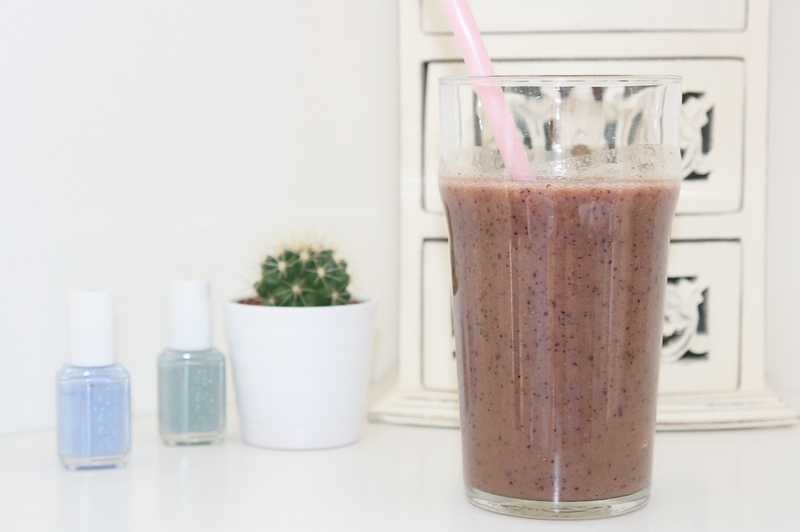 I now have lots of more adventurous things to put into my smoothies to make them even healthier like spinach, kale, almonds and all that good stuff, as well as lots of yummy fruit. 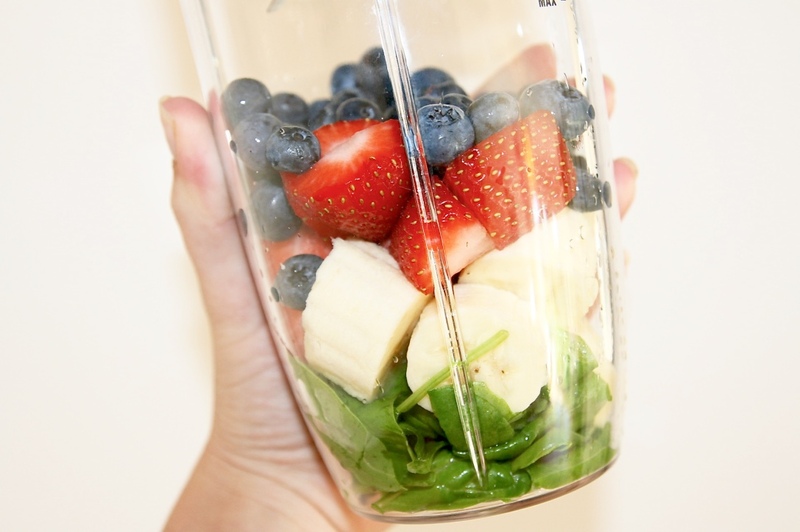 Today I just chose one of the simple smoothie recipes from the Nutribullet booklet, Spinach, banana, strawberries, blueberries and then some water. It tastes really nice and refreshing, especially on a hot day like today, and I can't really even taste the spinach!